The Court of Appeals agreed that fair “apportionment” was proper remedy but set it at 20%. The Supreme Court ruled, “The purpose is thus to provide just compensation for the wrong, not to impose a penalty by giving to the copyright proprietor profits which are not attributable to the infringement.” When determining what factors created profits, the Court recognized that star Joan Crawford was the draw for “the title of the picture is not identified with any well-known play or novel. Here, it appeared that the picture did not bear the title of the copyrighted play and that it was not presented or advertised as having any connection whatever with the play. 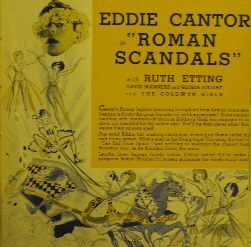 It was also shown that the picture had been ‘sold’, that is, licensed to almost all the exhibitors as identified simply with the name of a popular motion picture actress before even the title Letty Lynton was used.” Expert witnesses called by MGM estimated the percentage of profits attributable to material in the play as from 5%-12%, with one saying the play contributed nothing, and with the other side giving no rebuttal. The owners of the play were thus given “the benefit of every doubt” in being awarded 20%. Holcombe’s non-fiction book had been published without the knowledge of Story, yet portions of Holcombe’s book substantially resembled Story’s. Story’s 1842 pages was several times more than Holcombe’s 348, yet the Court determined that, adjusting to calculate on the basis of pages the same size, Holcombe had a ratio of copying from Story (as against material Holcombe had not so copied) of 2:9. This was judged an infringement. The first 100 pages of Holcombe were deemed a clear infringement, yet even the rest of Holcombe has the same plan as Story, despite different wording. Frank Shepard Co. vs Zachary P. Taylor Pub. Co.
C.C.A.N.Y. (3-20-1912) ¤ 193 F. 991, 113 C.C.A. 609. The Shepard and Taylor companies both published citations of court decisions. A copyrighted book contained errors. Subsequent editions reproduced them. A book from the rival contained 138 of these same errors. (13 were citations to court cases which never existed.) The court considered this proof of copying. “We think that the proof of a considerable number of errors common to both publications occurring first in the complainant’s and none occurring first in the defendant’s [publication] created a prima facie case of copying by the defendant which it was bound to explain. Marks vs Leo Feist, Inc.
Marks copyrighted “Wedding Dance Waltz” December 28, 1905, Feist had his song “Swanee River Moon” copyrighted April 4, 1921. The composer of the 1921 song swore he never knew of the 1905 waltz. Within the 450 bars of the waltz was contained six bars similar to those found in the chorus of the later work. The Court remarked that given the limited possible combinations of notes, it was possible for there to be unintentional copying, yet here the “rhythm and accent are entirely different.” Furthermore, even earlier than Marks’s 1905 work there was “Cora Waltz” which has four bars duplicated in “Wedding Dance Waltz.” Feist was exonerated. Simonton vs Gordon et al. DC SDNY (5-14-1929) ¤ 34 F.2d 145; affirmed 45 F.2d 119; cert denied by S.Ct. Anne Nichols contended that her long-running Broadway play Abie’s Irish Rose had been infringed by a movie produced by Universal called The Cohens and the Kellys. “After viewing the complainant’s play, Abie’s Irish Rose, and the defendant’s motion picture, The Cohens and the Kellys,… my observation leads me to the conclusion that… [the movie] differs quite substantially in its themes, scenes, episodes and expression of ideas, although both make use of common property, such as Jewish and Irish characters, marriage meeting with strong parental opposition, and final reconciliation.” The Judge noted that the movie has “‘slap-stick’ comedy” unlike the play. He provided a list of earlier works wherein a Jew marries a non-Jew against parents’ wishes. D.C.Cal. (11-18-1930) ¤ 46 F.2d 792.
illustration: Your hair would be standing on end, too, if you were ordered to surrender your million-grossing, publicly-acclaimed film to the marshal to be destroyed. 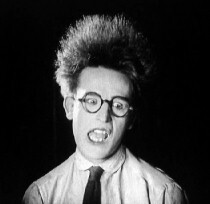 top three images: Harold Lloyd in his 1920 short comedy Haunted Spooks; at bottom: Lloyd in Number Please? (also 1920). H.C. Witwer wrote a story entitled “The Emancipation of Rodney,” which was published in Popular Magazine November 20, 1915. 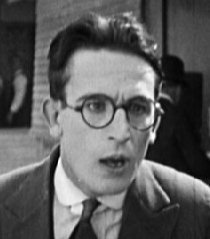 He believed it had been infringed by the popular 1925 movie The Freshman, produced by and starring Harold Lloyd, who during the 1920s was the biggest box-office attraction among all of the movie comedians. (His films sold more tickets than Charlie Chaplin’s and Buster Keaton’s.) The Judge in District Court decided, “From a comparison of the two [works], I am convinced that plaintiff’s charge of plagiarism is well founded.” Witwer had met Lloyd at Lloyd’s studio, Witwer had told the story of his work to Lloyd, and this took place within a meeting that had been arranged by the studio Secretary and General Manager (William R. Fraser). Lloyd apparently didn’t read the story, leaving the details of his scripts to subordinates. The District Court judge had seen a number of similarities between the two works sufficient that when he wrote a page-length plot outline of the Witwer story, it was obvious that most of the story had parallels in the Lloyd movie. The Appeals Judge summarized the two works in greater detail, exposing that apart from a skeletal plotline similar to both, the two works have substantial differences. Benjamin Ansehl vs Puritan Pharmaceutical Co.
“And the conclusion expressed that, aside from this similarity, which placed the two national heroes in conflict, there was no other similarity between the two works. There, too, access was assumed. 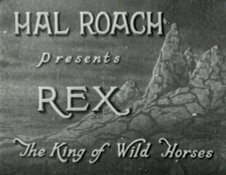 The plaintiffs argued that their unpublished and copyrighted play “Oh, Shah!” (and the uncopyrighted adaptation thereof) had been infringed by the Goldwyn movie Roman Scandals (1933). “Indeed, it seems to be that — putting the case more favorably for the plaintiff than a comparison of the works here justifies — the most that can be said for them is that they brought this suit for literary larceny because they were infected with the fallacy, which seems to be endemic among writers, that copyright may be claimed on a theme or an idea, which, of course, is not and never has been the law.” The similarity involved little more than each work being about a modern American finding himself transported to Ancient Rome, where the bulk of the story takes place. The first Appeals Court believed that the approximately two dozen similarities (mostly details) between the two works could suggest infringement, and given that Goldwyn had provided a continuity script but not the film itself, the Appeals Court remanded the case back to District Court so that the plaintiffs would be provided another chance. A proper determination was hindered by the lack of availability of a print of the film; the continuity script used as evidence in its place was inadequate, in the opinion of the court. The case had become that of Dellar v. Goldwyn, et al. when counsel for those two sides met again in court two years later. By this point, Eisman and Shayon had withdrawn from the suits, leaving only Dellar among the complainants. This time, a copy of the film was available and it helped establish that the movie as a whole was almost entirely original, that the small details shared with the complainant(s)’s work was coincidental. Again, there was an appeal, but not a change in verdict, and the final verdict came down in 1945, when the court decreed that the case was without merit — twelve years after the movie had opened in theaters. James H. Collins was well-known as a test pilot and his death on March 22, 1935, in an airplane accident was news. A book assembled by his widow from his writings was titled Test Pilot and was copyrighted September 16, 1935, but it sold fewer than 10,000 copies. 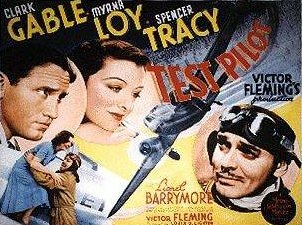 MGM had announced a movie to be titled Test Pilot on January 14, 1933 (verified from the Hollywood Reporter) but delayed production. On the basis of an examination of the book and a cutting continuity of the movie, the Court determined that the similarities were in the title and incidental material which should be expected when writing about the same profession. MGM had not infringed. The decision was reversed because a cutting continuity had been used as evidence in place of the actual movie. The appellant had argued about differences between the continuity and the movie. The Court said the movie would be viewed. Albert Bein wrote the novel Youth in Hell and (using the same content) the play Road Out of Hell. The play was revised as Little Old Boy. All three were said to be infringed by Warner Bros.’s movie Mayor of Hell (1933). In 1931, a successful producer of plays (named Harris) had been interested in producing Bein’s play , and assigned “one Chodorov” to work with Bein on rewrites. 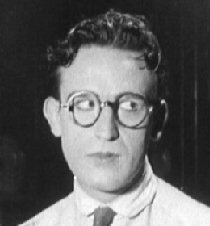 No play was produced, and after the option lapsed, Chodorov went to work for Warner Bros. and wrote the allegedly-infringing screenplay. The Court said that in comparing the novel and the plays to the movie, there is “similarity in a few incidents and a few points of dialogue”. What is most striking is that all of the works concern young troublemakers confined to reform school. Kustoff, having not gotten the verdict he wanted the first time around, filed for appeal. The decision of the Appeals Court reported additional evidence in favor of Chaplin. “Chaplin’s testimony was that he had had in mind the general idea of the photoplay many years before production of the film was begun; and there was further testimony that the writing of synopses of incidents, scenes and sequences… was commenced early in 1933. The picture was released for exhibition to the public in 1936.” Thus, the fact of the book being copyrighted and published in 1934 meant that these occurred after Chaplin had taken crucial actions but before these had become apparent to the public. (Vice President in Charge of Production) “testified that the idea of producing the film, Hotel For Women, came as a suggestion from Eddie Silverman, President of the S. & A. Film Distributors in Chicago in the summer of 1938 when Mr. Zanuck was visiting him. This suggestion, no doubt, aroused the interest of such a story and film in the mind of Mr. Zanuck. Returning to Los Angeles, he commissioned one of his regular writers to go to New York; stay at the Barbizon Hotel for the purpose of writing such a story.” She did go, but testified she merely gathered material in New York, doing the writing of the story after her return. The District Court decided that an “ordinary observer who had read or seen the plaintiff’s play would recognize the infringement in the film”. Damages awarded to Stonesifer were based on the net profits of the film. Testimony had established: Negative cost $510,300; Positive prints $134,200; Distribution $197,900 (these last three were the costs); Total film rentals $862,200; net profit $19,800. Damages assessed by court were $3,960 together with costs ($1000 for reasonable attorneys fees). “My Man Godfrey” had first been published in Liberty magazine, then by Grosset & Dunlap, then had been made into a Universal movie. Plaintiff owned the song “There’ll Never Be Another You” (1941), which he believed had been infringed by Twentieth Century-Fox’s song “There Will Never Be Another You” (1941). The defendant could point to its copyright in the earlier similar song “Never in a Million Years” (1936). The Court found that similarity of two works may be taken as evidence of copying but not as proof of copying. There must have been copying for there to have been infringement. D.C.,D.Neb.,Omaha Div. (12-9-1944) ¤ 58 F.Supp. 523, affirmed 157 F.2d 744, certiorari denied 67 S.Ct. 622, 329 U.S. 809, 91 L.Ed. 691, rehearing denied 67 S.Ct. 769, 330 U.S. 854, 91 L.Ed. 1296. So what was the verdict? 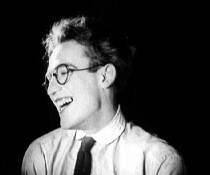 Kern was exonerated of infringement of “the musical or verbal content of C. Arthur Fifer’s initial filing of an unpublished composition in the copyright office on April 22, 1940” (the only version which “could possibly have antedated both the composition and final copyrighting of ‘The Last Time I Saw Paris’”), owing to “a complete want of evidence either of access, or of the possibility of access, by Mr. Kern to information touching ‘Lola.’ Access either in fact or in probability is simply not shown. And the improbability of such access is inferable from standing instructions of the Register of Copyrights forbidding it in cases of unpublished filings”. The Court found “the existence of novelty and originality in the music of ‘The Last Time I Saw Paris’”. Also working against the owners of “Lola” was that of the three versions copyrighted, only the Macomber arrangement was offered at trial, and even here, “no complete copy, but only a single sheet of four pages, evidently for a piano as one orchestral instrument, and… probably… in specially arranged form, the chorus only of ‘Lola’”. Who knows why this withholding? illustration: part of the sheet music of “Lola,” showing a section of the chorus. This is reproduced from the May 1941 published version. The song entered the public domain for lack of copyright renewal in 1969. A manuscript titled “Ambitious Lady” had been submitted by a motion picture agent and returned to the author on April 15, 1941. When Universal released the movie His Butler’s Sister in 1943, Schwarz assumed it was an infringement. However, the work of the plaintiff submitted on March 21, 1941, was “an embryonic scenario of only a page and a half, entitled ‘His Butler’s Sister’”. That same day, popular Hollywood columnist Louella Parsons in her newspaper column mentioned this title as forthcoming. The studio had already been working on the basic idea for some time, for the Court reports, “We have at least five scenarios antedating March 27, 1941.” The decision indicates that the plaintiff and studio each wrote of “master, butler, and butler’s sister, and of the master’s ball” — which anyone could appropriate. Universal Pictures Co. vs Harold Lloyd Corp. The District Court awarded Lloyd $4,000, which was 20% of the $20,000 profit earned by So’s Your Uncle. Lloyd appealed on the grounds that this was not enough to compensate for his loss. There was validity to this argument. “The plaintiff apparently thinks he can get sole rights to the use of the phrase ‘night and noon’ no matter in what context it is used. Such a common phrase in and of itself is not susceptible of copyright nor of appropriation by any individual. Likewise plaintiff cannot get copyright or literary rights, to the idea of having the actors and actresses in a stage show appear in a scene in black and white costumes.” Case dismissed. Irving Berlin vs E.C. Publications, Inc.
Suit was filed against movie comedian/director/producer Jerry Lewis alleging that Lewis’s successful feature-length comedy The Nutty Professor (1963) plagiarized the plaintiff’s script. The judge ruled that other than both scripts being variations on Dr. Jekyll & Mr. Hyde, the works were as dissimilar as War and Peace is to Gone With the Wind. The first court reported that Warner Bros. had received a copy of the pilot episode of The Greatest American Hero months prior to broadcast. They had not been left to be surprised by the content while there was time to adjust the content of the program. Apple Computer vs Microsoft Corp.
Universal’s movie 12 Monkeys reproduced Woods’s copyrighted drawing, so he sued to “enjoin Universal from distributing, exhibiting, performing or copying those portions… which reproduce his copyrighted drawing, or any portion of it. For the reasons that follow, Woods’ motion is granted. “In 1987, Woods created with graphite pencil a detail drawing entitled ‘Neomechanical Tower (Upper) Chamber,’ which depicted a chamber with a high ceiling, a chair mounted on a wall and a sphere suspended in front of the chair.” (The description continues for several lines.) This version was published in Germany in 1987 and after Woods colored his black and white drawing in 1991, that “version was included in a collection of Woods’s illustrations entitled Lebbeus Woods/The New City, published in the United States in 1992. Woods saw the movie on January 18, 1996, having been apprized of the similarity. Woods’s copyright had been taken out on the collection The New City, which Universal argued was a compilation and thus its copyright “only covers the selection and arrangement of Woods’ illustrations, not the earlier published illustrations themselves.” Yet, because (as applies here) “the owner of the copyright for a collective work also owns the copyrights for its constituent parts, registration of the collective work satisfies the requirements of Section 411(a) for purposes of bringing an action for infringement for any of the constituent parts… . “Universal cannot seriously contend that ‘(Upper) Chamber’ was not copied during the filming of 12 Monkeys. Terry Gilliam, the director, admits that in preparing the design of 12 Monkeys, he reviewed a copy of a book that included ‘(Upper) Chamber.’ Gilliam and Charles Roven, the producer, discussed the drawing with Jeffrey Beecroft, the production designer. The movie remained as it was. “The studio hastily settled with Woods for an undisclosed sum.” (Los Angeles Times, December 10, 1997) The film was not re-cut or re-shot. The closing credits were revised to include Woods’s name. Alice Randall admits that her novel The Wind Done Gone (published June 2001) retells Margaret Mitchell’s Gone With the Wind (1936, yet a continuing top-seller). Having written her book without authorization from Mitchell’s heirs, she faced an infringement suit. The first court to hear the case (starting April 18, 2001) issued an injunction against publication owing to infringement, but the Appeals Court reversed (allowing publication yet finding grounds that damages should be awarded to Mitchell’s heirs). (The ban on publication was lifted May 25.) The Appeals Court remanded the case for new trial, then the parties settled out of court. Although this outcome deprives the public of the knowledge of how the next court(s) would have resolved the case, the different opinions reached by the two courts, and the application of the parody and fair-use principles by the Appeals Court, are illustrative. The out-of-court settlement followed the parameters of the Appeals Court findings. In the end, The Wind Done Gone was allowed to be published when Alice “Randall’s publisher, Houghton Mifflin, agreed to make an unspecified contribution to Morehouse College, a historically black school in Atlanta. In return, lawyers for [Margaret] Mitchell’s estate agreed to stop trying to block sales of Randall’s book, which tells the GWTW story from a slave’s point of view.” (The Associated Press, May 10, 2002) Morehouse College already was a beneficiary of the Mitchell Estate’s charitable contributions, so the infringing publisher’s donation to that institution amounted to a contribution to a charity already in line for any philanthropy in which the Mitchell Estate eventually engaged. The Appeals Court wrote that “Alice Randall, the author of TWDG [The Wind Done Gone], persuasively claims that her novel is a critique of GWTW’s [Gone With the Wind’s] depiction of slavery and the Civil-War era American South. To this end, she appropriated the characters, plot and major scenes from GWTW into the first half of TWDG. According to SunTrust [acting on behalf of the Mitchell heirs], TWDG ‘(1) explicitly refers to [GWTW] in its foreword; (2) copies core characters, character traits, and relationships from [GWTW]; (3) copies and summarizes famous scenes and other elements of the plot from [GWTW]; and (4) copies verbatim dialogues and descriptions from [GWTW].’ Defendant-Appellant Houghton Mifflin, the publisher of TWDG, does not contest the first three allegations, but nonetheless argues that there is no substantial similarity between the two works or, in the alternative, that the doctrine of fair use protects TWDG because it is primarily a parody of GWTW… . “In our analysis, we must evaluate the merits of SunTrust’s copyright infringement claim, including Houghton Mifflin’s affirmative defense of fair use. As we assess the fair-use defense, we examine to what extent a critic may use a work to communicate her criticism of the work without infringing the copyright in that work… . If this was to be permissible parody, the Court should expect to find how the new work was “transformative” (using this term with the meaning given it by the Supreme Court in the Campbell v. Acuff-Rose Music, Inc. [“2 Live Crew”] decision): “The issue of transformation is a double-edged sword in this case. On the one hand, the story of Cynara and her perception of the events in TWDG certainly adds new ‘expression, meaning, [and] message’ to GWTW. From another perspective, however, TWDG’s success as a pure work of fiction depends heavily on copyrighted elements appropriated from GWTW to carry its own plot forward… . “TWDG is more than an abstract, pure fictional work. It is principally and purposefully a critical statement that seeks to rebut and destroy the perspective, judgments, and mythology of GWTW. Randall’s literary goal is to explode the romantic, idealized portrait of the antebellum South during and after the Civil War. In the world of GWTW, the white characters comprise a noble aristocracy whose idyllic existence is upset only by the intrusion of Yankee soldiers, and, eventually, by the liberation of the black slaves. Through her characters as well as through direct narration, Mitchell describes how both blacks and whites were purportedly better off in the days of slavery… Randall’s work flips GWTW’s traditional race roles, portrays powerful whites as stupid or feckless, and generally sets out to demystify GWTW and strip the romanticism from Mitchell’s specific account of this period of our history. Approximately the last half of TWDG tells a completely new story that, although involving characters based on GWTW characters, features plot elements found nowhere within the covers of GWTW… . In TWDG, nearly every black character is given some redeeming quality — whether depth, wit, cunning, beauty, strength, or courage — that their GWTW analogues lacked. Two or more screenwriters can have the same experience and decide to write a script about it. Where both writers have contact with the same movie studio, the resulting movie can seem to have favored one writer by cheating the other. A lower court found in favor of the excluded writer, whereas the appeals court weighed facts ignored by the lower court to reach a verdict in favor of the studio. “While [the] complaint [judged in district court] alleged a multitude of theories of liability, the only claim still relevant is Murray Hill’s allegation that the Jingle All The Way movie infringed upon the copyright of the Could This Be Christmas screenplay. The court made a finding that Murray Hill failed to establish directly that Fox had access to the Could This Be Christmas screenplay at any time before Murray Hill submitted it to Fox. The case then proceeded to trial by jury. The district court instructed the jury based on the Ninth Circuit’s test for judging the ‘substantial similarity’ of copyrighted works. As the jury was deliberating, the court found that the Jingle All The Way treatment, created prior to the Could This Be Christmas submission, did not infringe on the Could This Be Christmas screenplay. However, the jury was not informed of this ruling. Four days later, the jury rendered a verdict in favor of Murray Hill. The damages included $1 million in producer’s fees and $500,000 in writer’s fees […], $2 million in lost goodwill, and $500,000 in merchandising revenue”. Of 24 similarities between the Could This Be Christmas screenplay and the finished Jingle All The Way movie, six were not in the treatment and thus added after exposure to the Could This Be Christmas screenplay. “Therefore, we hold that elements of a copyright defendant’s work that were created prior to access to a plaintiff’s work are to be filtered out at the first stage of substantial-similarity analysis, just as non-protectible elements are. In the present case, no reasonable jury could have found substantial similarity solely on the basis of the six minor elements not so filtered. Therefore, Fox’s motion for judgment as a matter of law should have been granted. Ossip Dymow vs Guy Bolton, et al. (launch this) was a lawsuit over alleged infringement where in fact only the basic idea was shared. Shirley Booth vs Colgate-Palmolive Company and Ted Bates & Co. (launch this) had a sitcom star suing when her general appearance and mannerisms were copied by the cartoon spokes-character in a commercial. Kalem Co. vs Harper Bros (launch this) had a silent movie declared an infringement of a book although the movie did not use any words from the book. Warner Bros. Pictures, Inc., et al. vs Columbia Broadcasting System, Inc., et al. (launch this) discusses the Court’s decision as to similarities between the “Kandy Tooth” episode of the radio series Adventures of Sam Spade and the first Dashiell Hammett story about Sam Spade, The Maltese Falcon, on which radio rights were sold to a different company. “A story has a linear dimension: it begins, continues, and ends. If a defendant copies substantial portions of a plaintiff’s sequence of events, he does not escape infringement by adding original episodes somewhere along the line.” Warner Bros. v. ABC, 720 F.2d 231, 241 (2d Cir. 1983). Bright Tunes owns copyright to the song “He’s So Fine,” recorded by the Chiffons, after being written in 1962 by Ronald Mack. George Harrison was credited with writing “My Sweet Lord” in 1970. (Billy Preston worked on it too, though Harrison is solely credited on the copyright registration.) The Court held: “The harmonies of both songs are identical.” As Harrison was so creative and successful that he shouldn’t be expected to infringe, how could this happen? In 1963, “He’s So Fine” was at the top of the charts for seven weeks in England, where the Beatles (of which Harrison was part) were also top sellers. As part of the same business, Harrison surely knew the song. Time Incorporated vs Bernard Geis Associates, et al. The only motion pictures of the assassination of President John F. Kennedy were filmed by amateur photographer Abraham Zapruder. Life magazine purchased the rights to the film for $150,000 and quickly put out an issue reproducing frames from that film. Time-Life (parent company of the magazine, and also known as Time Incorporated) has thereafter published or leased reproduction of frames and footage from this film to other companies. The author of a non-fiction book titled Six Seconds in Dallas bypassed the use of actual images of the assassination in his book. Instead, to illustrate the moment of death by images which appear within this book about the event, the author chose instead to publish line drawings showing the key moments. The author admitted that these were drawn with eyes on the actual images in the Zapruder film. Time-Life sued for infringement of copyright. The court ruled: “A news event [the death of President Kennedy] may not be copyrighted… [yet] Life claims no copyright in the news element of the event but only in the particular form of record made by Zapruder… .” Zapruder’s motion pictures of that event were deemed copyrightable. “Any photograph reflects ‘the personal influence of the author, and no two will be absolutely alike,’ to use the words of Judge Lerned Hand. On the basis of the selectivity exercised by the photographer, the images can be said to be copyrightable. However, because the book uses sketches rather than the photographs, the question remained as to whether they were infringements. The court wrote that the book “has a number of what are called ‘sketches’ but which are in fact copies of parts of the Zapruder film.” Even so, the court was not convinced that the dissemination of the sketches interfered with the profits of Time Incorporated. illustration: President John F. Kennedy in a portrait dated July 11, 1963, shot by a White House photographer. Howard Loeb vs A.L. Turner and Trinity Broadcasting Corporation (launch this) mentions that where the same content was broadcast on radio stations a thousand miles apart, the supposed-infringing station was not competing in the same market.